An option which you may not have thought about when getting us to make a bespoke frame, is the choice of glass. 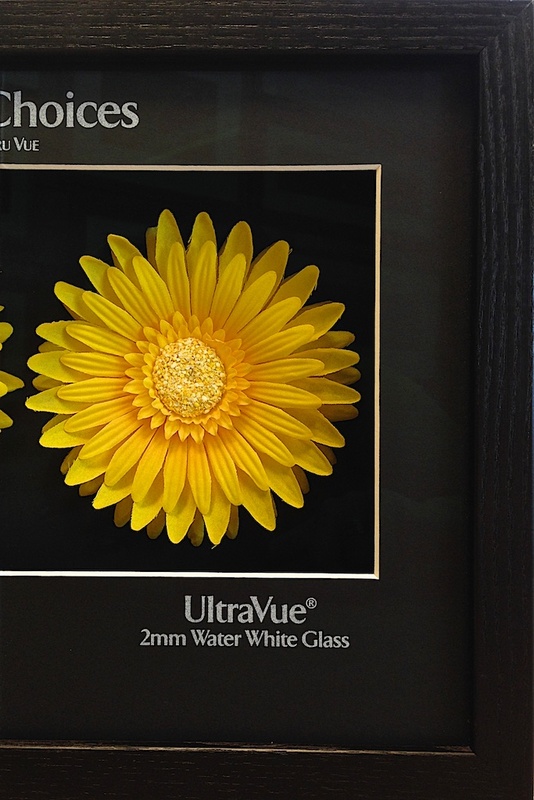 UltraVue® 2mm Water White Glass. See below for the tech specs of each glass. This is one of our upgrade options when it comes to glazing. It is 2mm thick and reflects a much smaller amount of light on it’s surface. The transmitted light (light that travels through the glass to the artwork and then bounces back out) is very high, allowing strong colour and detail to be viewed easily without the distraction of reflections. 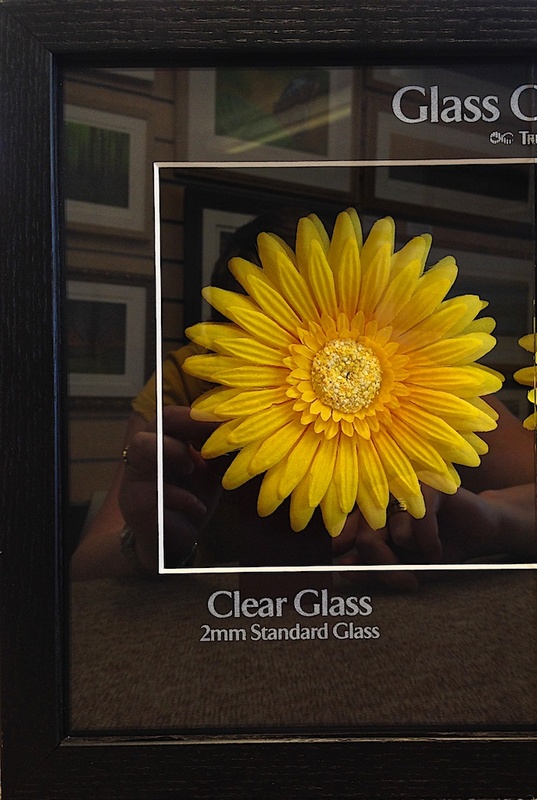 The UV protection is much higher too, offering higher protection of your artwork than standard 2mm float glass. This high-quality, anti-reflective glass product provides 70% UV protection and is optically coated to create a nearly invisible finish. This is the glass that most people are familiar with. It is 2mm thick and reflects a large amount of light on it’s surface. The transmitted light (light that travels through the glass to the artwork and then bounces back out) is however quite high, allowing colour and detail to be viewed easily. The UV protection is somewhat low. This is our introductory level of glazing, and is included with our standard framing quotes. Typically, 2mm float will transmit 90% of visible light, reflect 8% and absorb 2%. UV light filtering is approx. 45%. The options above are kept in-stock and are the most popular choices made by our customers. Other glazing options are available on request.